British and Norwegian top diplomats, in separate phone conversations with Iranian Foreign Minister Mohammad Javad Zarif have discussed the latest developments in bilateral relations and the Iran nuclear deal. 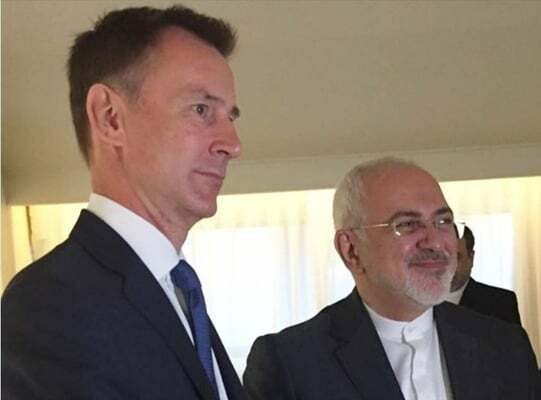 In his Monday talks with Zarif, UK Foreign Secretary Jeremy Hunt underlined the commitment of London and other parties to the Joint Comprehensive Plan of Action (JCPOA) to continued implementation of the 2015 deal. He also highlighted the need for immediate establishment and implementation of Europe’s special payment mechanism known as Special Purpose Vehicle (SPV) in a bid to maintain economic cooperation with Iran. Norwegian Foreign Minister Ine Marie Eriksen Søreide also expressed her country’s support for the implementation of JCPOA, and underlined the need for expansion of mutual cooperation between Tehran and Oslo. Zarif and Eriksen Søreide also conferred on the Danish police’s accusation against a Norwegian-Iranian citizen.